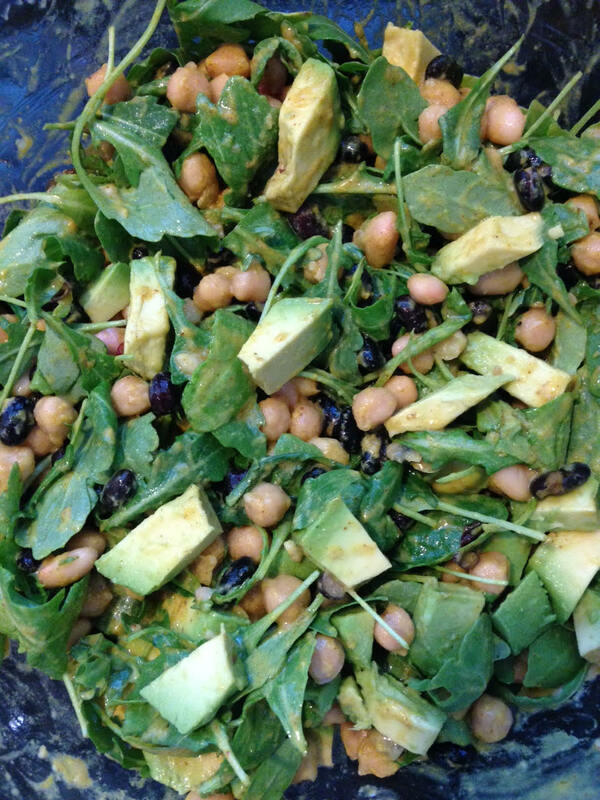 Need a protein-packed, vivacious, vitamin-rich, super-easy salad? Have I got the one for you! In less time than it takes you to remove your eye make-up, you can whip up this healthy dish! Put a bird on it (egg or chicken), or roll it in a wrap. Make a large bowl to scoop from all week!